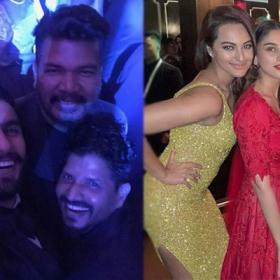 Read on to take a look at the top photos of the week which rocked the social media and fans who loved it. This week saw many birthdays and events, and social media was filed with photos and videos of many stars. 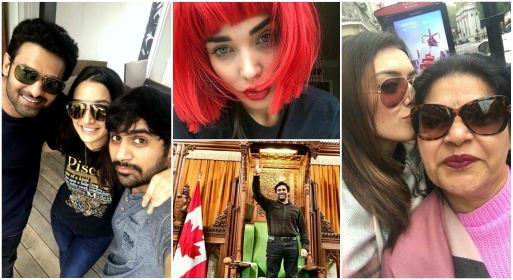 While Prabhas celebrated his birthday and makers of Saaho unveiled the first look poster on the special occasion, Hansika Motwani was enjoying a holiday in Europe. 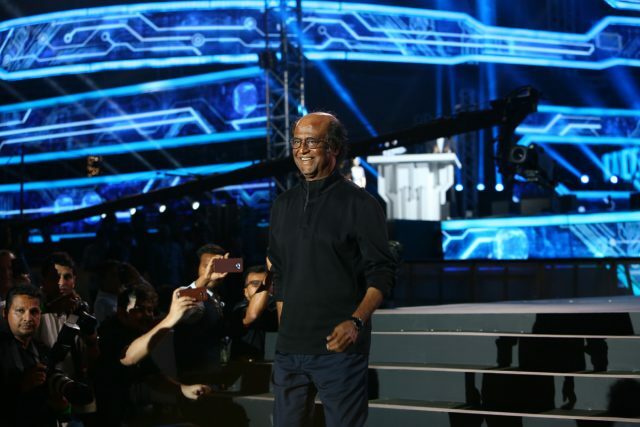 The later part of the week also saw the audio launch of superstar Rajinikanth’s 2.0 which was a spectacular event in Dubai and a never-seen-before one. We took a look at top photos of South Indian stars who rocked it this week. 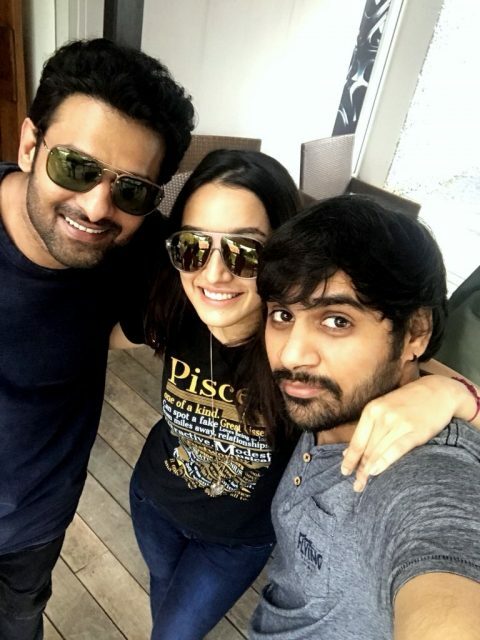 The Saaho team, Prabhas, Sharddha Kapoor and director Sujeeth, posted the first selfie much to the joy of fans. Director Sujeeth posted this selfie on Prabhas’ birthday which was a special occasion. 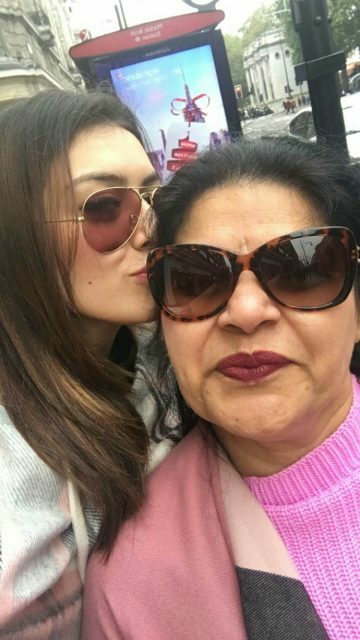 Holidaying in London, Hansika Motwani was seen having a great time with her family there. The actress posted this selfie with her mother which is adorable. 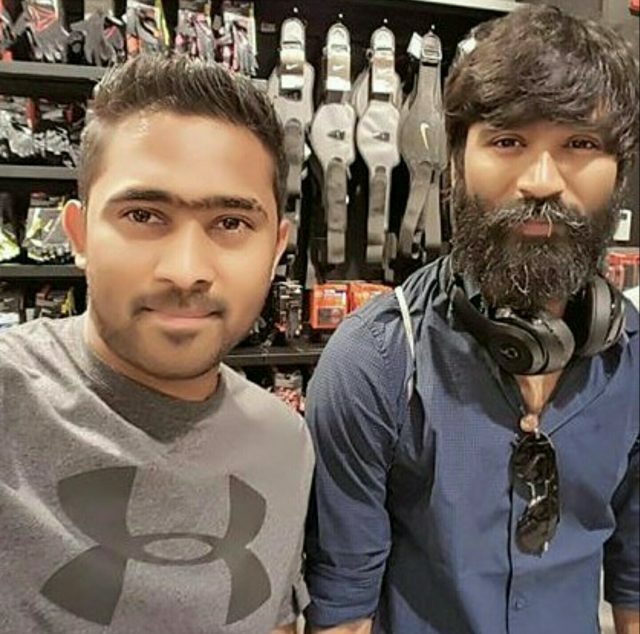 A fan posted this selfie with actor Dhanush in which he is seen with thick beard which is his look for his upcoming film ‘Vada Chennai 2’. Photos of Dhanush with beard have been doing rounds for a while now which has created huge excitement around the film. What do you think of this selfie of Amy? The 2.0 actress sure knows how to rock in different looks. We sure can say that any look suits Amy including this blond one. Actor Suriya with wife Jyothika and brother Karthi was spotted at the audio launch of 2.0 in Dubai. 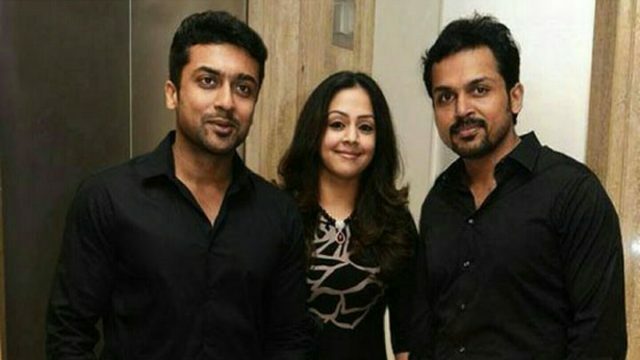 Suriya and Jyothika looked adorable in this frame and actor Karthi looks dapper. 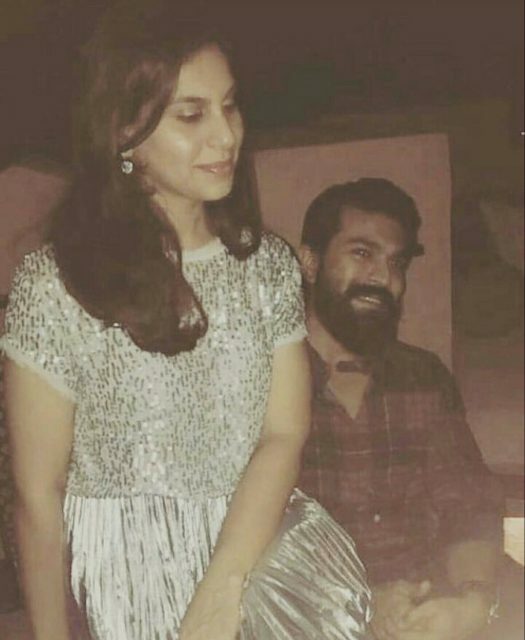 Hosting a reception at their home, actor Ram Charan and wife Upasana were clicked together. Upasana posted this picture on her Instagram page and the two look amazing in this one. The newly-weds Naga Chaitanya and Samantha are on a break from work and travelled to London for a shot holiday. 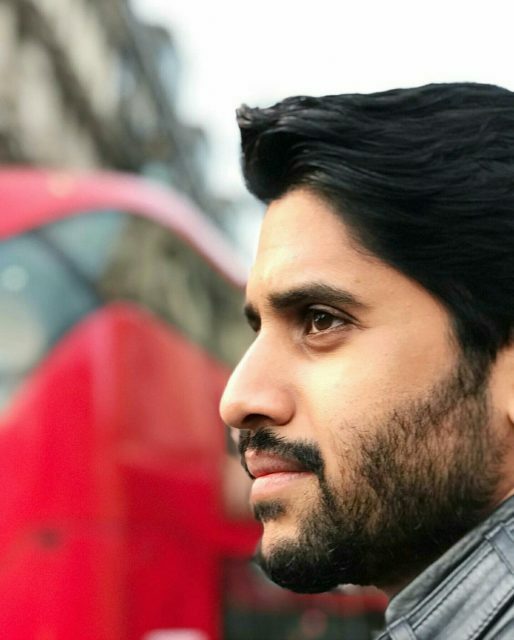 Samantha posted this picture of Naga Chaitanya from their trip to London and Chay looks intense in this click. 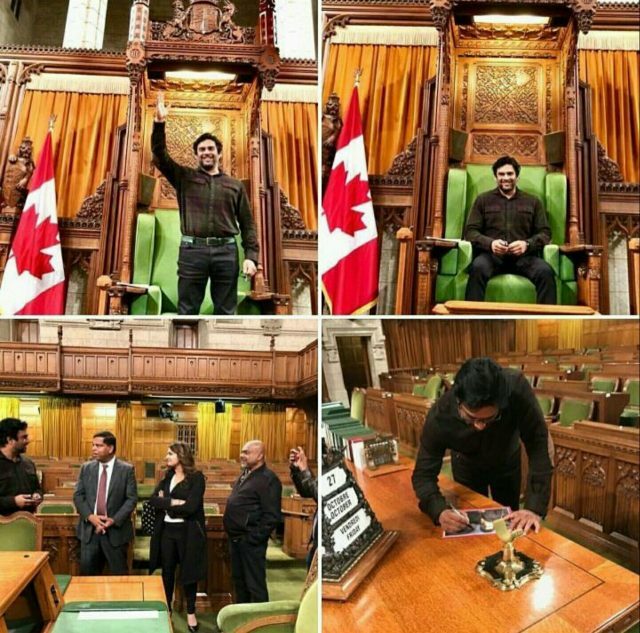 Actor Madhavan took a trip to Canada this week and had the chance to visit the nation’s parliament. Maddy posted thee pictures where he is seen interacting with officials there. Spreading the charm Maddy? His simplicity is his charm. That’s superstar Rajinikanth for you. This picture of ‘Thalaiva’ was clicked at the audio launch of 2.0 and that smile says it all. 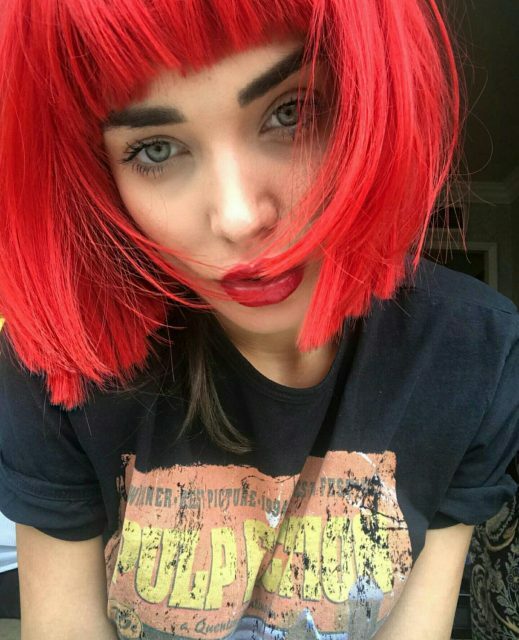 Um, that’s not a blonde wig that Amy Jackson has on. Better late than never. 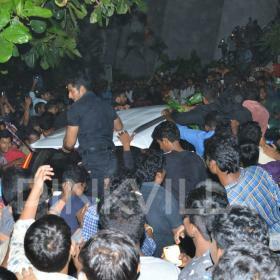 A big relief that South Indian actors are more prominent nowadays. Thanks to SSRs vision.